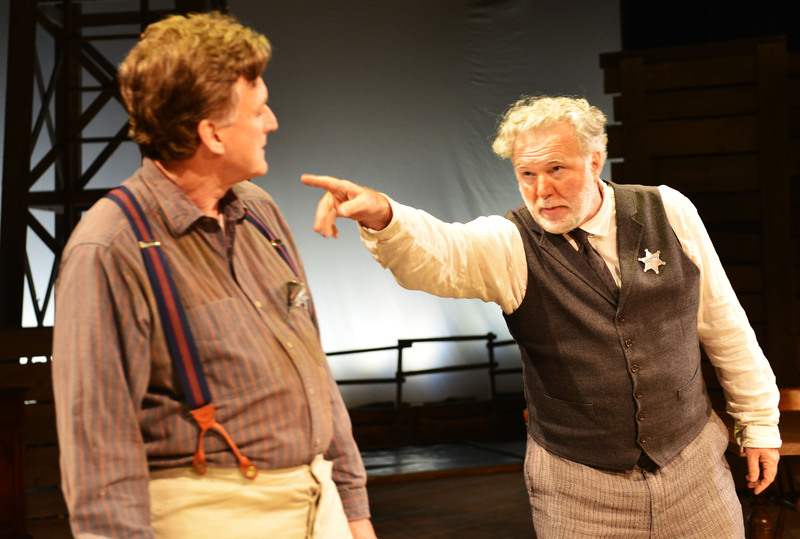 GLOUCESTER – I almost didn’t go to see The Rainmaker when it opened at Gloucester Stage last weekend. But I’m very glad I changed my mind and went to see this classic American play by N. Richard Nash. 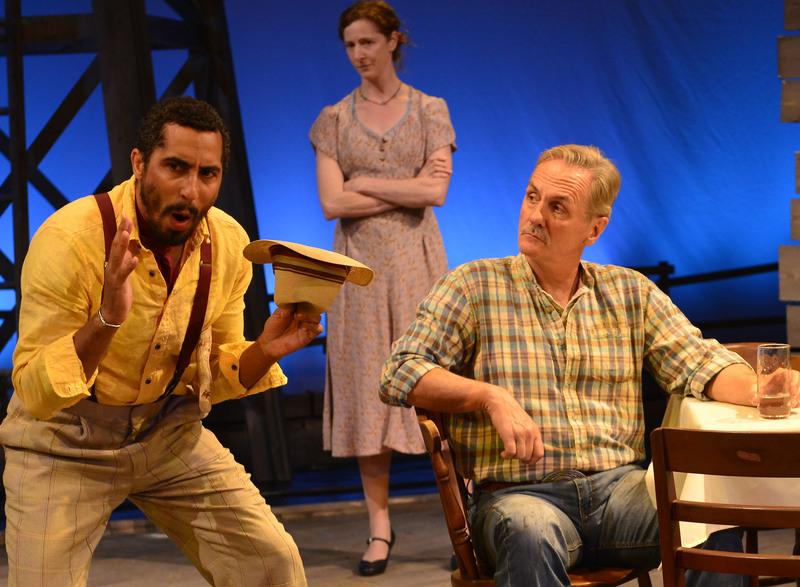 Written in the early 1950s, The Rainmaker is easily the best known of Nash’s plays. Some may remember the 1956 film adaptation starring Burt Lancaster and Katherine Hepburn. But although it has been revived frequently on stage, many have never seen it. Under the skillful direction of Artistic Director Robert Walsh, Gloucester Stage is bringing this uplifting work to a whole new audience. 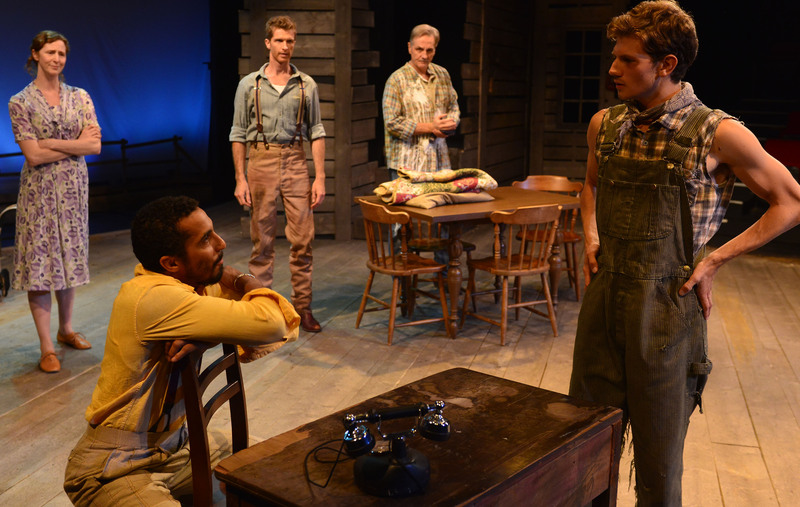 The play is set on the Currie family’s ranch in the 1930s Midwest during a paralyzing and seemingly endless drought. The Currie men are deeply worried about the impact that the lack of rain is having on their cattle and crops – almost as worried as they are about Lizzie Currie (played by Jessica Bates) and her inability to attract a potential husband. Although she is still relatively young, everybody, including Lizzie herself, is aware that she is “plain.” Their shared fear is that her plainness will doom her to life as a spinster (because we all know that men are shallow brutes that can’t see beyond a woman’s looks). Lizzie’s father, grizzled H.C. Currie (David DeBeck), and her two brothers, serious and responsible Noah (Joe Short) and fun-loving romantic Jim (Sean McCoy), have done their best to marry Lizzie off, sending her on trips to visit families that have marriageable sons and inviting the local deputy sheriff over for dinner. Deputy File (Dave Rich) resists. He tells people that he’s a widower to avoid the shame of admitting that his wife ran off with a schoolteacher, but everyone knows the truth. File’s boss, Sheriff Thomas (Norman Jones), has been badgering File about living alone, even trying to give him a dog. File insists that he likes being alone, but his words ring hollow. Enter Bill Starbuck (Brian Homer) an itinerant con man and self-styled rainmaker who shows up on the Currie ranch one day. He promises to solve the drought – for a fee. For $100, he pledges to bring rain within 24 hours. The Curries balk at first, but eventually H.C. agrees to pay the money because at this point, anything is worth a try. Family members must also perform a series of bizarre tasks, like beating a bass drum, tying the back legs of a mule together and painting a huge white arrow on the ground. But most of all, they must believe in Starbuck’s ability to make it rain. Starbuck also inserts himself into the perceived drought of suitors for Lizzie. He objects when family members tell her that she’s plain and destined for life as an old maid. He tells Lizzie that she’s pretty, but in order for others to see it, she must first believe it herself. The Rainmaker is a well put-together play and everything works in the GSC production, especially the performances. Homer narrowly avoids overplaying the title character and allows even the con man to experience a trace of vulnerability. Bates is captivating as Lizzie, and her ability to make us feel, as well as see, her character’s transformation is a revelation. The Rainmaker is about the willingness to take a leap of faith and the unexpected power of looking at familiar things in a new way. 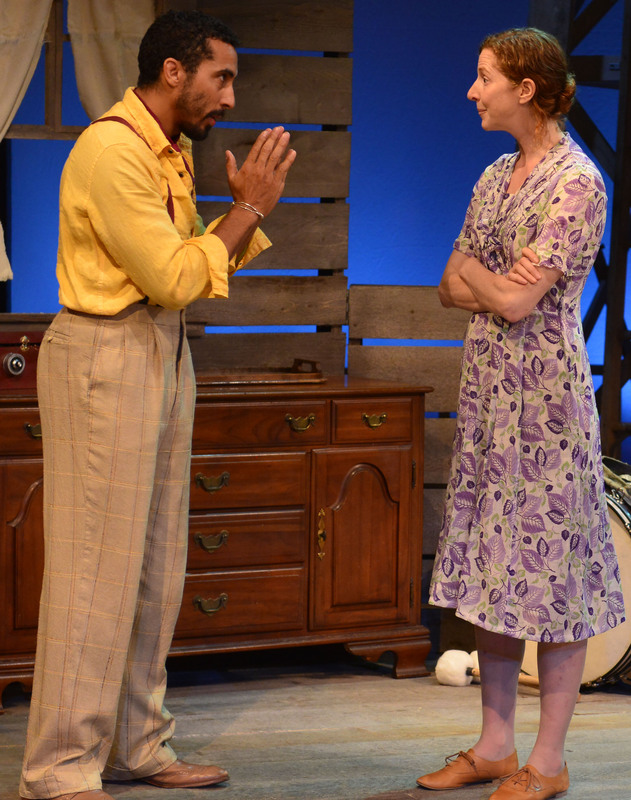 The Rainmaker runs through Aug. 5 at Gloucester Stage, 267 East Main Street, Gloucester. Performances are Wednesday through Saturday at 7:30 p.m.; Saturday and Sunday at 2 p.m. with a special Tuesday evening performance on Tuesday, Aug. 1 at 7:30 p.m. Purchase tickets online or call the Box Office at 978-281-4433.